We have thousands of meters of carpets instock, instore and ready for install ASAP! 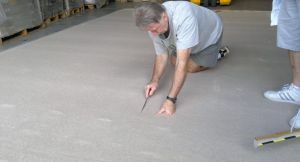 Our carpet layers are fully qualified tradesman with years of experience, and take complete pride in their work. 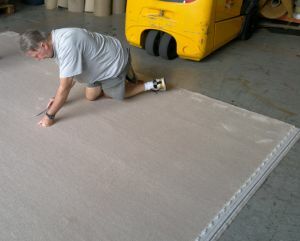 So with Carpet Factory, you can be sure that your carpet will be installed to the highest standard. Carpet Factory is also a poplular choice for DIY carpet layers, and shoppers from regional NSW, who often take advantage of our stock roll specials by buying carpet on a supply only basis. 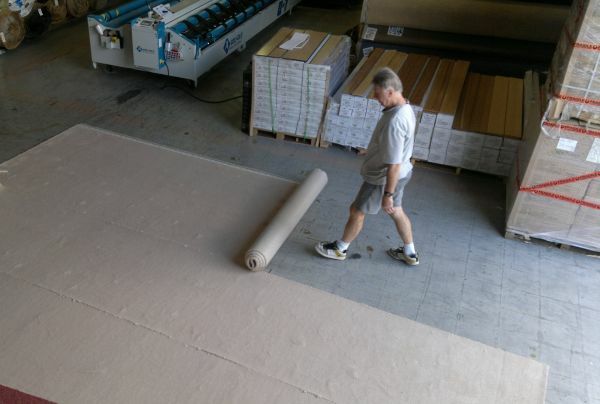 For DIY carpet layers and out of town shoppers who prefer to hire their own local carpet layer, Carpet Factory can supply everything you'll need to install your own carpet, including seam tape, smoothedge, underlay and and trims. We can also cut stock rolls to suit room sizes for easy management of your job. Don't risk your brand new carpet with stores that force carpet layers to shape your carpet on your front lawn or street. We manage your install so the carpet won't get damaged before it even enters your premesis. We can also pack and wrap rolls in water resistant packaging if you need to make long journeys with cuts of carpet on a roof rack or trailler. Please Note: carpet cutting and wrapping services are limited on Saturday trade. If you need cutting services, please try to plan ahead to avoid disappointment. * Pictured Above:- cutting and shaping your carpet to minimise joins and unnecessarily patchy carpet laying. Carpet Factory's friendly staff can also provide advise on installation methods for our huge range of carpet tiles, vinyl, vinyl planks, floating floor, solid timber and carpets. Carpet Factory also has a measure and quote service, however for the best prices, we recommend a visit to our showroom first to see our stock roll specials. Manufactures do not supply portable sample books on these significantly reduced stock specials, and it is cheaper to choose from the reduced stock prices in our showroom warehouse, rather than ordering carpet in at retail prices from a sample book. Please note all our stock rolls are first quality. Carpet factory does not deal in second quality carpets. *For NSW residents who live beyond a certain distance outside of Canberra, a travel fee for supply and installation may occur.